When 4moms introduced the Moxi stroller, they unleashed one of the smartest, craziest baby devices the world has ever seen. Okay, so maybe that’s a tiny bit of an overstatement, but the stroller is undoubtedly really, really cool. 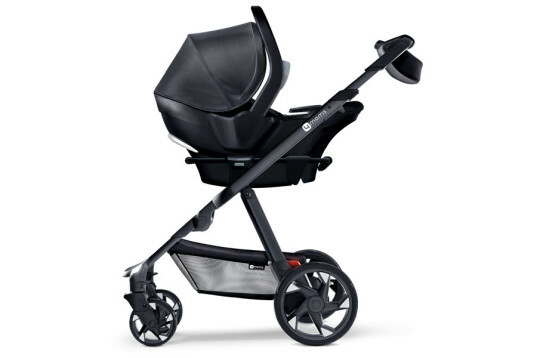 The high-tech stroller can charge your phone and iPod, thanks to the power generated by its rear wheels, and it also tracks your strollering adventures, kind of like a fitness app. This stroller will also be a perfect partner for evening strolls, since it comes equipped with headlights and taillights—for real. Oh, and the Moxi also has a place where your baby or toddler can ride, which is the real reason you need a stroller in the first place, right? 4moms is well-known for its innovative parenting gear, and the Moxi stroller is the latest release in a series of cool, high-tech gadgets that enhance the things parents already do every day. The Moxi stroller, like 4moms’ other products, has a lot of easy-to-use functions designed to make life a little easier. 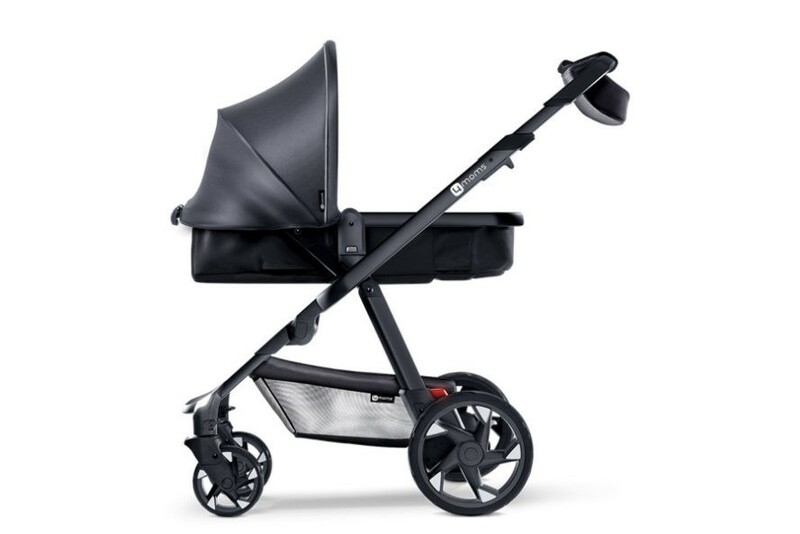 The stroller has a canopy with a pop-out shade for sun protection, a handlebar that adjusts to meet parents of all heights at a comfortable level, and also boasts a foot-operated brake that can be used even while wearing flip-flops. As it rolls, the stroller generates electricity with its rear wheels, sending it up to the handbar-mounted dashboard. The stroller’s LCD screen spits out tons of cool info to keep data nerds happy—including trip time, temperature, distance traveled, speed, and battery level. An adapter allows parents to keep cell phones and other portable electronics charged up on the journey as well, crucial for keeping your kid’s favorite jams on tap. The Moxi stroller frame weighs 22 lbs and has a built-in bassinet for newborns. Older babies will need to use 4moms’ self-installing car seat (sold separately) or one of the other compatible car seat models. 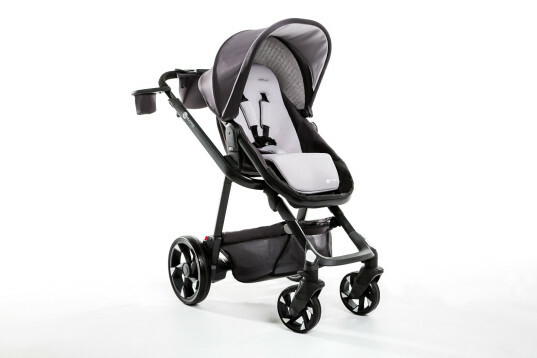 The stroller is designed to hold children weighing up to 55 lbs. Like all good strollers, the Moxi has built-in storage for all the essentials, too—a removable storage bag is large enough for a diaper bag and a smaller dashboard bag keeps parents’ keys and cell phone handy. 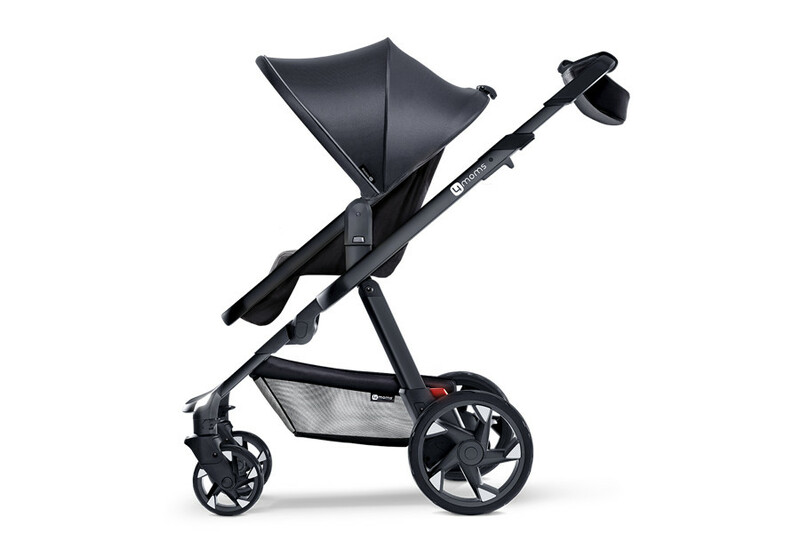 The Moxi stroller will be available for sale this October for $699.99. 4moms won’t take preorders, but interested parents can sign up to be notified once it goes on sale. 4moms is well-known for its innovative parenting gear, and the Moxi stroller is the latest release in a series of cool, high-tech gadgets that enhance the things parents already do every day. The Moxi stroller, like 4moms’ other products, has a lot of easy-to-use functions designed to make life a little easier. The stroller has a canopy with a pop-out shade for sun protection, a handlebar that adjusts to meet parents of all heights at a comfortable level, and also boasts a foot-operated brake that can be used even while wearing flip-flops. As it rolls, the stroller generates electricity with its rear wheels, sending it up to the handbar-mounted dashboard. The stroller’s LCD screen spits out tons of cool info to keep data nerds happy—including trip time, temperature, distance traveled, speed, and battery level. An adapter allows parents to keep cell phones and other portable electronics charged up on the journey as well, crucial for keeping your kid's favorite jams on tap.